Don’t stick your head in the sands of Positive Thinking! Denying reality allows the world to continue to form your life and manipulate your future. 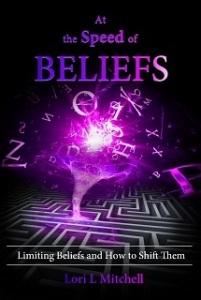 There are answers, and they come from your beliefs. Applying the solutions will only make a difference when you know why and how beliefs created the current world structures. We live in a maze of our repetitive thoughts and we are trapped in dead end loops created by unquestioned beliefs. Whether they are group beliefs or individual choices made long ago, they keep playing in the background of our habits and reactions. To break free from our mental limits, we must get out of the maze. But first we have to learn the beliefs that continue to cause our lack of growth and expansion. After losing her success in career, money and relationships, Lori Mitchell came across some wisdom that gave her the final key she needed to turn her life around. Within one hour she was manifesting fast and that fateful hour began a new life; she began to move toward her dreams quickly. Hi Ruby, checking in with you; did you receive the pdf file I emailed? Yes sometimes the download links in the automated ebook email does get stopped with some email providers – ah the tech! 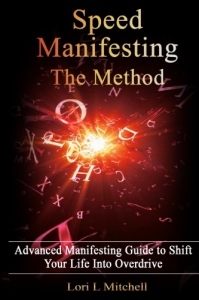 Let me know if you’ve received your copy and if you have any questions about the method please ask. Hi Yasmine, all good now? Awesome webinar Lori. So glad your book is here! Thank you for being YOU. Love. Have I missed it… I am in Qld.. maybe time difference. what else do I have to do to get on the webinar?